The fourth Winter Lionfish Derby, sponsored by Conyers Imports, is set to be held from January 1 through January 31, with a wrap-up party and awards ceremony taking place at the Bermuda Underwater Exploration Institute [BUEI] on Saturday, February 3 from 6.00pm until 9.00pm. The Derby will feature cash prizes in both freediver and SCUBA diver categories, including $500 for the most lionfish caught by any team, $250 for the second most lionfish caught by any team, and $100 for the third most lionfish caught by any team. There will also be a cash prize for the largest and smallest lionfish caught overall by any individual, each set at $100. Furthermore, each participant who spears and provides a lionfish to the Derby will be entered into a contest to receive an official Winter Derby hooded sweatshirt. The event website says, “This year, teams of 2-4 hunters will be allowed and, in fact, required; we don’t want to promote solo diving and hunting at any time, especially in the cold. To level the playing field and maximize participation among our permit holders, I’m sorry to say there will not be prize categories for the technical divers. 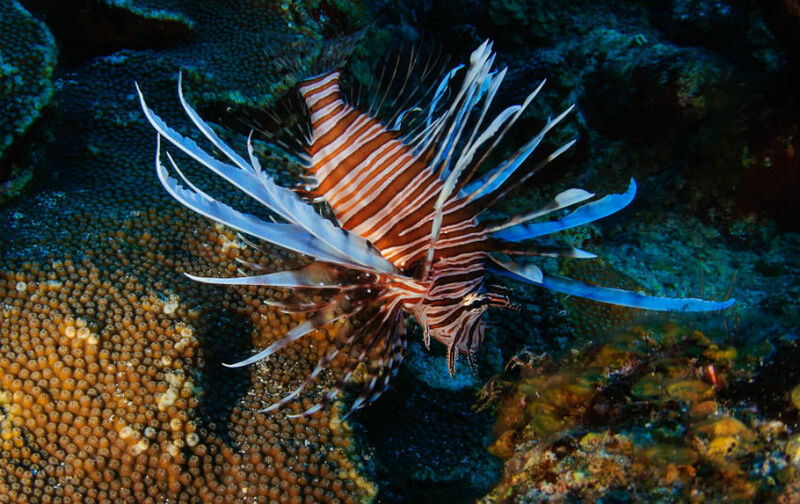 “Lionfish will be collected through the month of January. Stay tuned for details. You must include a slip of paper with your name, permit number, date of capture, site of capture, and depth of capture for each fish. Please keep fish from different dives separate. We will accept whole lionfish or wracks [whatever is left after you take the fillet]. “Any fish you enter as a potential largest or smallest lionfish must be submitted whole, with or without spines attached. If providing wracks, the research team asks that you measure each whole fish before you take the fillet, and provide us with that information. This is optional, but greatly appreciated.